Preheat your oven to 350 degrees. Line two large baking sheets with parchment paper and set aside. In a small bowl, combine your flour, baking soda, salt and chopped walnuts. 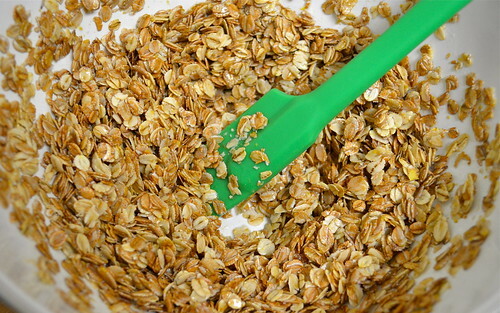 In a separate bowl, combine your coconut oil and rolled oats. Stir until evenly coated. In yet another bowl (oh, so many bowls! 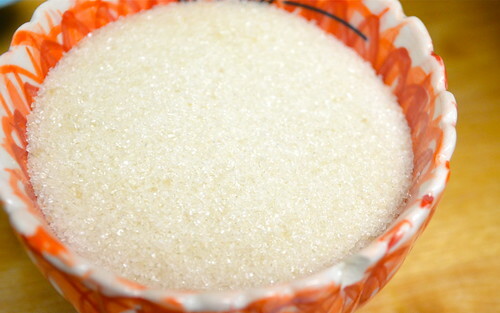 ), this time large, whisk together your sugar and your egg. Once you've achieved a creamy consistency, add your flour mixture. Whisk in, then add your coconut-y oats. Fold in the raisins - I realize I'm being specific and picky when I say "golden," but do whatever feels right, or use whatever you have. Cranberries? Regular ol' raisins? Dried blueberries even? Who's judging? Though this dough scoops up neatly, these cookies really flatten out once baked. 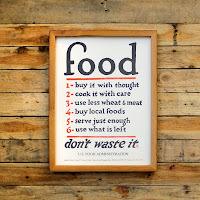 So be sure to give them enough space when you spread them out on your baking sheets. For my first round, I was unprepared for just how thin "thinnest" meant, and ended up with several conjoined cookies, which we did not discriminate against. If you're aiming for a more traditional round-cookie shape, give them all at least two inches. These guys like their elbow room. Bake until very deeply golden, about 8-10 minutes. 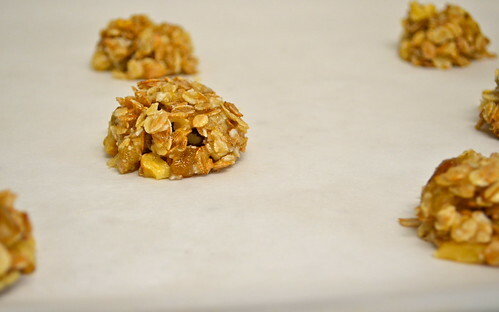 Once you remove them, they might seem as though they're going to be chewy, but let them cool for about 5 minutes on the parchment before you make that incorrect assumption. 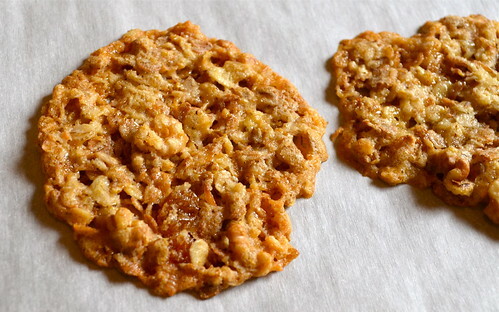 They will, at this point, peel easily from the paper and, once completely cooled, be the perfect crunchy cookie.